Over the past decade the need for practical leadership skills has grown dramatically in both the private and public sectors. Outstanding leadership has become established as a key requirement for managers at all levels. Managers in organisations of all sizes are also expected to be effective leaders and performance-focused coaches. 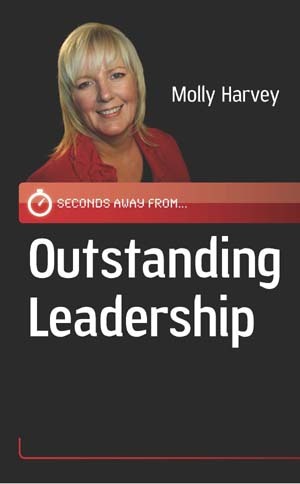 Outstanding leadership is a concise guide to leadership by business speaker Molly Harvey. It is the first title in the Seconds away from series, a new collection of books that covers key management skills, presenting the information in bite-sized nuggets that can be implemented straight away. Future titles in the series will cover skills such as partnering, people management, focus, confidence and balance.